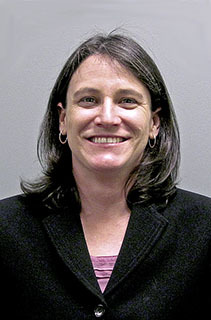 Congratulations to Allison Thomson, climate change researcher at Pacific Northwest National Laboratory, who was appointed to the editorial board of Environmental Research Letters (ERL). Thomson was chosen for her expertise in agriculture and land-use change within the broader perspective of climate change. As a member of the editorial board, she will be responsible for helping to direct the journal's selection of research and assisting in the peer-review process. ERL is an interdisciplinary journal with a mission toward becoming a free-to-read online, world-class journal that intellectually and professionally brings together scientists, economists, engineers, social scientists, as well as the public sector and civil society, working on and with an interest in issues across environmental science. ERL was founded in 2006, recognizing the need for a journal to represent the increasingly interdisciplinary nature of environmental science. Thomson is a research scientist working at the Joint Global Change Research Institute, a partnership between PNNL and the University of Maryland. She has extensive experience in climate change and land use, agriculture, integrated assessment modeling and linkages to Earth system models. With over 50 publications, Thomson's research explores alternative future scenarios of land management and the implications for the carbon cycle and food security.